Kowa polyester filter media is safe and easy to handle and does not break down in use. Suitable for uses where fiberglass is not indicated, such as food processing and medical facilities. Fibers are held together with resin that is flame retardant and moisture resistant. Media consisting of 100% polyester bonded fibers is formed into an interlocking pattern that traps dust and lint, while minimizing face surface loading. Polyester media fibers won’t break off and flow into air stream. 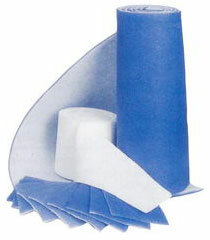 Used to replace fiberglass filters where minimal downstream contamination is required. Filters have metal support on both sides and a heavy cardboard frame. For all heating ventilating, and air-conditioning applications. This type of filter serves as the first gate of the air filtration system and it is mainly used to filter outside air. Polyester Filter is disposable, so multiple usages is not recomended. Polyester Filter is suitable for all kinds industrial manufactures, such as contamination prevention, HVAC system,waste treatment and contaminated process air. Polyester Filter is also commonly used in pharmaceutical manufacture and food processing due to its ability to filter contamination air. Fire-retarded filter and anti-virus filter can also be made with imported Polyester fiber and be processed and packed in local factory.